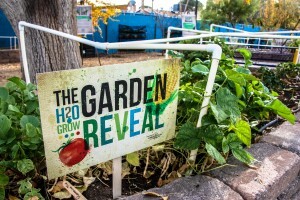 H2O Grow is a philanthropic project committed to cultivating sustainable hydroponic gardens in schools throughout Southern Nevada. Creating active educational tools throughout Clark County. Los Vaqueros manages this program. The Lake Elementary Garden was damaged by a reckless driver. 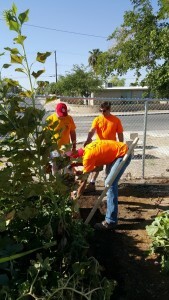 Los Vaqueros offered to help repair the garden and get it back to working order for the start of the school year. Lake Elementary accepted and in about two hours, four Los Vaqueros volunteers rehabilitated the garden and had it ready for opening day. 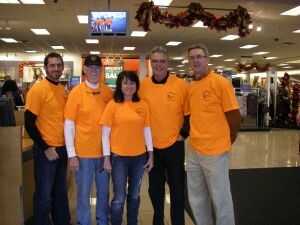 Los Vaqueros members distributing Kohl's Gift Cards for the holidays. 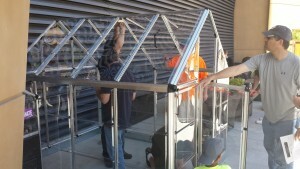 A group of Los Vaqueros volunteers purchased and assembled a greenhouse for Candle Lighters at the World Market Center.